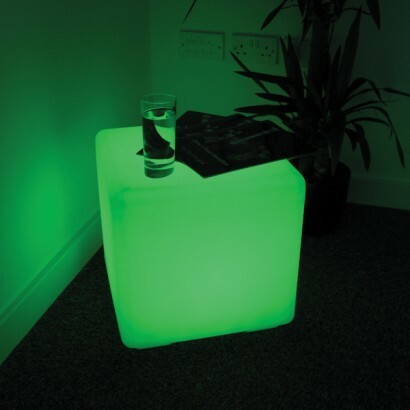 The Colour Change Outdoor Cube is funky LED furniture at it's finest. 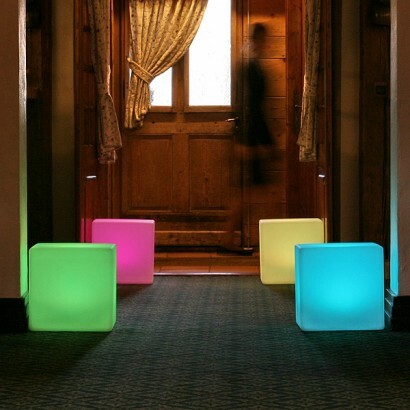 This giant 40cm³ colour change cube can be used to illuminate areas both indoors and outdoors, making it hugely popular for use in party, bar and event spaces, as well as in the home and garden. The sturdy unit is rechargeable, allowing wire free operation for up to 10 hours from a single charge, without being limited to use in areas with a power socket. Designed to withstand bad weather, the unpredictable British summertime is no match for this sturdy water resistant unit! 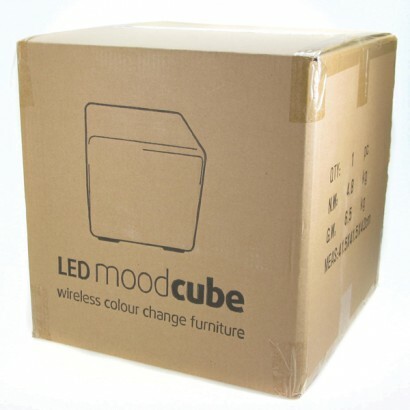 Use the remote to change between light modes on the the Colour Change Outdoor Cube, selecting from three brightness levels, six block colours and an automatic option which phases through thousands of shades. If you come across the perfect shade, simply press the pause button to hold on that colour, allowing you to coordinate your cubes perfectly whatever your colour scheme. 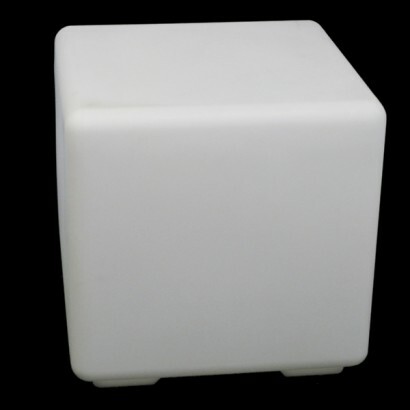 For a real party atmosphere set the cube to sound-to-light mode and it will flash along to the beat of your music. Who says the disco has to end on the dance floor? 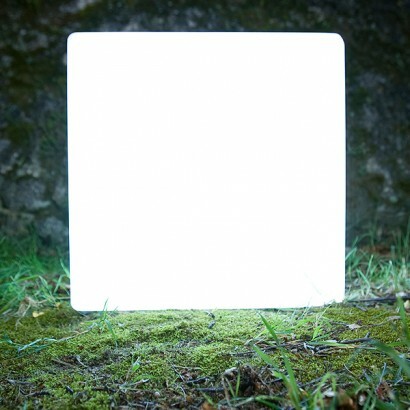 Replacement inner light units are available. 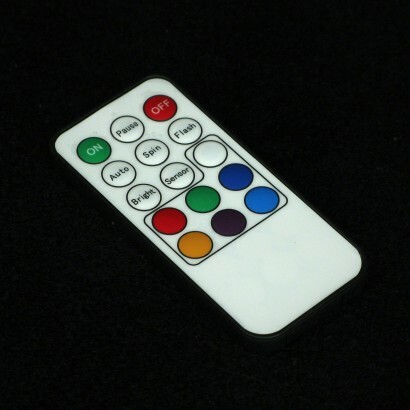 * battery life estimates are based on using the colour morphing mode, other modes may use the batteries more quickly, especially white and sound-to-light modes. Really love the cubes, and like the different settings, although the synchronising with music doesn't really work (it only works I you hit the cube in time with the music). 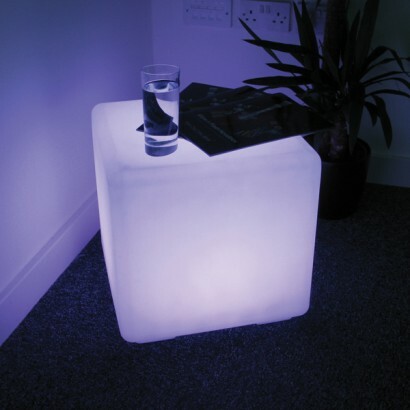 Over the moon with my georgous LED cube - it's supposed to be for the garden but currently residing in the house! Love it, thanks Glow company and for easy ordering and prompt delivery. For a fun patio or conservatory set up. 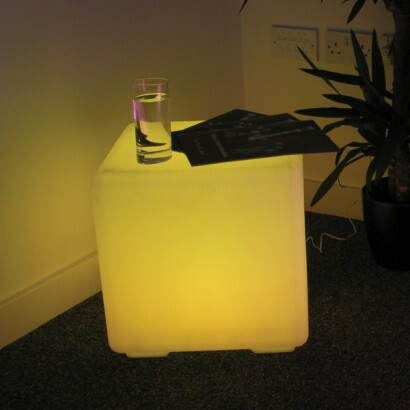 Good bright colours, easy to charge and operate and surprisingly robust although not heavy. brilliant little cubes and excellent service. 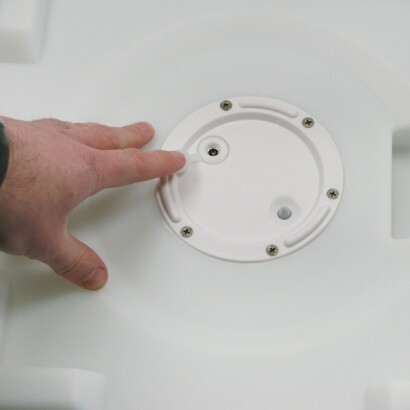 One small component was damaged in transit and was swiftly replaced. And then the sun shone so they've already been used!